Buying a horse is the first expense and then providing the proper housing and care for it is the next. In addition to this, there are going to be a certain amount of horse accessories that are needed for the horse. These are all going to depend on what the horse is actually going to be used for. If it is going to be used merely as personal entertainment such as for horse back riding then the basics for the horse are going to be a good saddle as well as a blanket and a set of reins with a proper bit. For young horses they will need a proper horse halter and reins for leading them around. 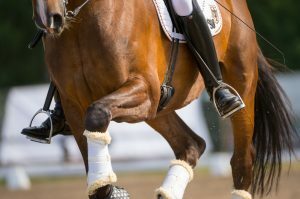 If the horse is not going to be rode and is in a fairly confined space then it needs to be exercised properly and exercise equipment will be needed as well. Over and above this there will be a need of course for certain grooming accessories and there are a variety of different tools that are used for this purpose. Certainly a good brush and a horse hair thinning tool will be two of the necessities and perhaps a good set of trimmers.